Here are the best states for environmental engineers where you will discover places ready to offer an annual salary of $105,000 to these professionals. With growing awareness about the environmental impact of human activity the demand for the occupation will be high in coming years. It is projected that the number of available jobs for environmental engineers will increase 12% which is well above the national average for all occupations in the USA. Bureau of Labor Statistics (BLS) estimates that 55,100 people work in the field and by 2024 there will 62,000 environmental engineers in America. The annual median salary for the occupation is 84,560$, with 10% earning around $129,000 yearly. The oil industry is the best paying, but the greatest concentration of the jobs can be found in architectural, engineering and related services. 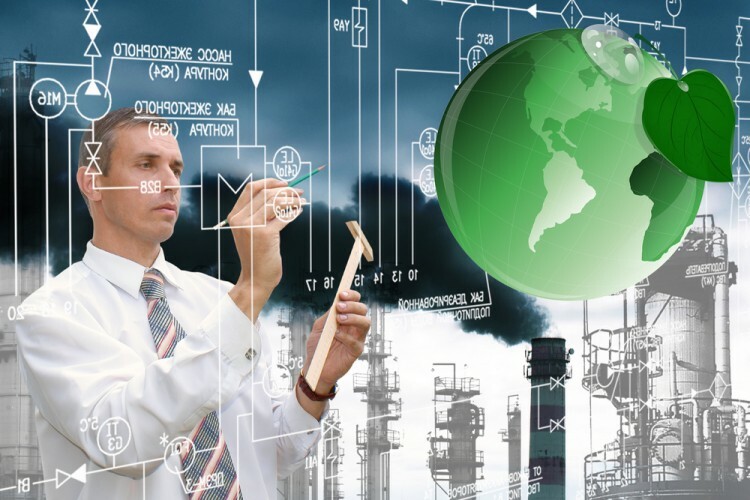 Compared to other engineering professions environmental engineers can expect a moderate salary. They earn more than civil engineers, as you can see on our previous ranking of 25 Best States for Civil Engineers, but they are less compensated than chemical engineers. As said before the demand for environmental engineers is mainly driven by consequences of growing pollution. These professional are educated to minimize harmful impact of industry, manufacturing, mining by designing processes and equipment that will prevent and control releases of harmful substances into the air, water, and soil. Besides protecting surrounding from environmental hazards, they also work on damage control in cases when contamination takes place. Environmental engineers first must identify the source of contamination and then they try to find the ways of eliminating or reducing pollutants without closing down the business. Bachelor’s degree in environmental engineering or a related field is necessary for those who want to work in the field. Note that these days more and more employers give an advantage to candidates who have a master diploma, so it is better to choose five-year degree program which secures MA degree. Also, employers might prefer applicants who graduate from programs accredited by ABET. Professional engineering (PE) license is not required for entry-level positions, but those who want to advance must obtain PE. While creating the ranking of best states for environmental engineers we considered annual median salary as determined by BLS, job growth obtained from Projection Central, and costs of living. We ranked states by these three criteria and then calculated the average score. In cases when two or more states had the same average score the order in which they appear depends on salary and costs of living.